Hey there. How are you? It’s been a while, I know. I won’t weigh down this post with a long apology for the unannounced hiatus, just know this: everydaytrash is back. Expect more regular updates going forward. Speaking of forward momentum, this blog is six years old. And then some. Here’s the very first post to prove it. Thank you, trashies, for sticking with me all this time and, in particular, for sending me so many amazing garbage-related tidbits. Six years and more than one thousand posts later, this subject never gets old. 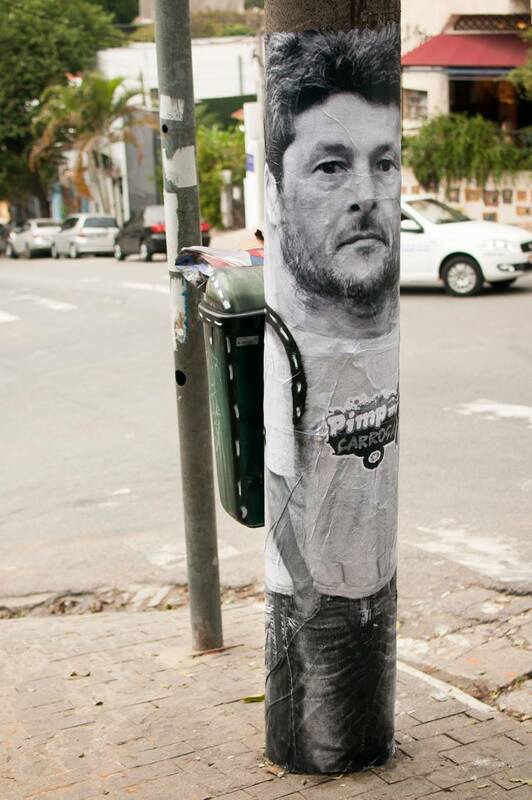 Every time I verge on trash-fatigue, I discover some inspired creative project. This morning, for example, I woke up, went online and came across two amazing feats of upcycling. 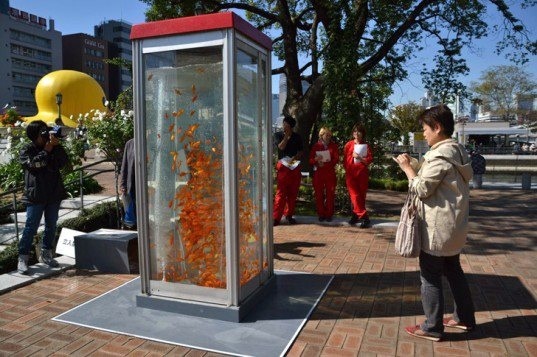 This phone-booth-turned-fish-tank in Osaka, Japan (via inhabitat). 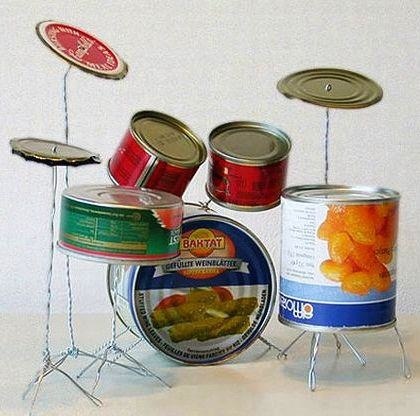 And this adorable drum kit (via ReUseConnection). The best thing about producing a trash blog is the balance of wonk and whimsy. For every massive report on solid waste management, there’s a phone booth aquarium or tin can trap set.